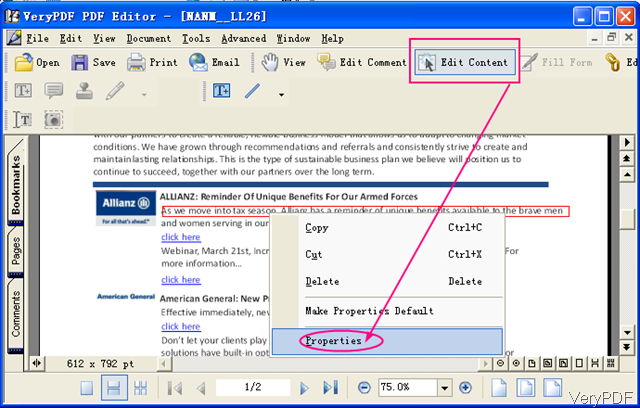 ← How to copy PDF information and paste it to the email? Question:Hi,I want to only change font in my PDF, and I want to be able to do this to a group or batch of PDF document at once. I want to replace the font in the PDF file in a batch. I will be converting every word to the same font which I believe is Lucienda. Which of your products will do that? Answer: If you need change font in the PDF in the whole, maybe you can have a free trial of VeryPDF PDF Editor which can be used to change font color, size and others easily. But this software only can change font of one PDF in one time. It can not be used to change font of many PDF in one time. In the following part, I will show you how to make it. 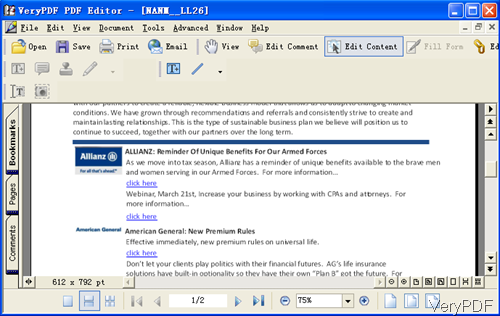 Download PDF Editor and install it. This software has user friendly software interface, so you need to install it. When do installation, please double click the exe and follow the installation message. Once the installation finishes, there will be an icon on the desktop. Please launch this software and add PDF to this software by clicking button Open. Please check details in the following snapshot. After adding files, please click button Edit Content then mouse will turn to cross. If the PDF is text based PDF file, one you can click the content, there will be red bounding box around text. Then right click the red box, there will be drop download list showing up. In the drop download list, you can choose to copy, cut and delete content in the red bounding box. As we need to change font, here we need to choose Properties whose menu option shows like the following snapshot. Here you can change the content, the font style, the font size, color and transformation. You can use this software as font detector. 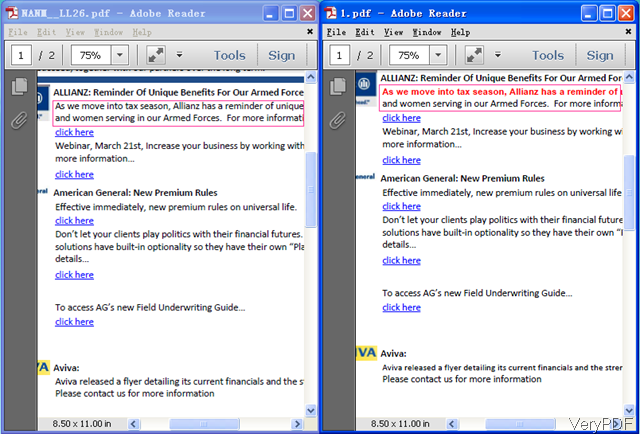 It can tell you what the font is in the PDF document. In the following snapshot, let us check what kind of fonts are available for you to choose. 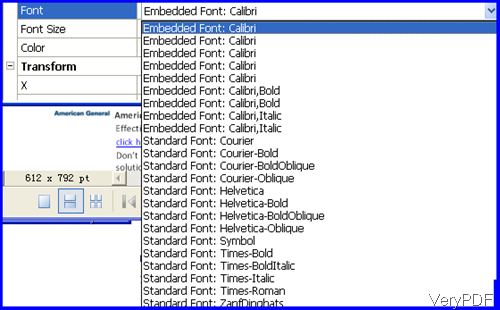 Here you can choose any one of them to replace the fonts in the PDF document. After changing, please do not forget to save it to a new PDF or save it to original PDF. Click option File then go to Save as or Save. Now let us check the changing font effect from the following snapshot. 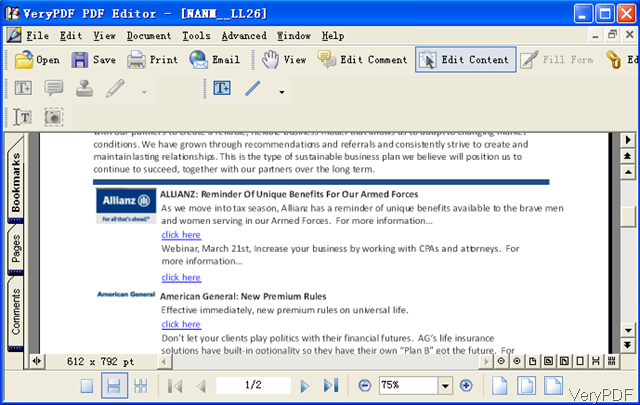 By this way under the help of PDF Editor, you can change fonts easily. During the using, if you have any question, please contact us as soon as possible. This entry was posted in PDF Editor and tagged change font. Bookmark the permalink.